What did Jimmy mean when he said I would have learned "the game"? 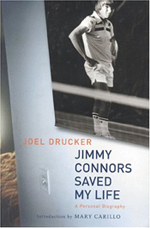 One of the more inspirational moments I ever had with Jimmy Connors took place nearly 20 years ago. It was a spring day in 1996. He and I were walking the grounds of the famed Pebble Beach Golf Club with where Connors and John McEnroe were the headliners for a four-man senior event. 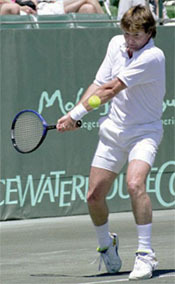 This was the early stage of the senior tour launched by Connors. There was a large crowd and plenty of excitement. Connors was comfortable and friendly as I observed him going through his public relations obligations: the Pro-Am, the celebrity lunch, the press conference. At that point I'd already interviewed Jimmy numerous times for nearly 15 years. But that day, having just played doubles in the Pro-Am with Connors himself, I felt more like player than a mere journalist. I asked a question that had been on my mind for several years. "Jimmy," I said, "If I'd taken lessons from your mother, what would I have learned?" Connors didn't respond. He looked away from me and stared at the Pacific Ocean. Then he turned back, leaned a foot closer to me, his hazel eyes squinting as if he was about to hit a service return. "Son," he said, "you would have learned the game." That's all he said--like there was nothing more that needed to be said. The game. It was left for me to ponder what that meant to Jimmy and Gloria. And so I have. I thought about the distance from Pebble Beach to Connors' birthplace, East St. Louis, the distance from the concrete courts of Illinois to the grass at Wimbledon. 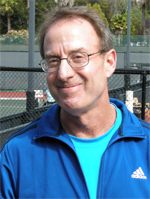 I thought about his years of hard work and sweat, the matches in every corner of the globe, spanning 50 years of legends, from Pancho Gonzalez, McEnroe and Bjorn Borg, to Ivan Lendl and Andre Agassi.